It was a good end to 2013 with my first book published and the first draft of the sequel written, but January has been eight chaotic days, running around like the headless cliché… sorry, I mean chicken. As I said in my non-resolution, Baiting the Bull, I had simplified my plans for 2014, aiming for just a small step each day. In a way that worked, but my mind still wants to veer off down different tracks. Is that because it knows that I am playing mind games? I can’t hide the potential workload from myself, not when it mocks me each day. I sit at the computer and know what is going on, however hard I try to shut the demands off. There are at least eight demanding chickens that I cannot hide from. 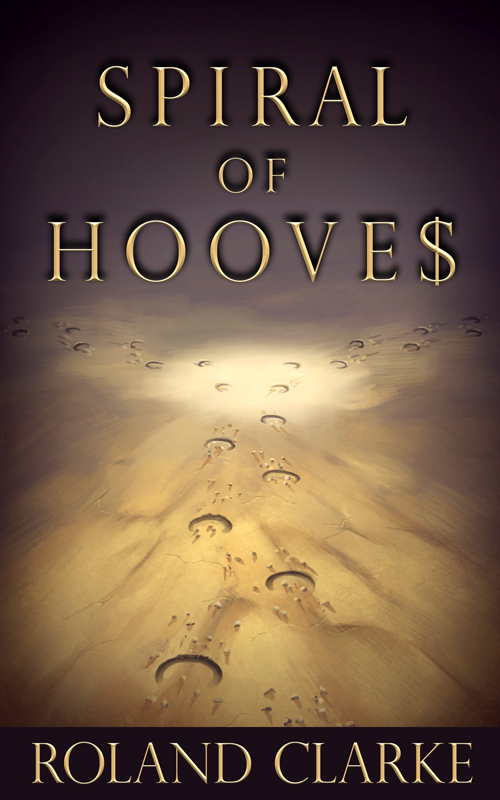 Spiral of Hooves: the novel won’t sell itself so I need to promote it, without spamming the world. Wyrm Bait: the second novel I wrote, which has been professionally edited. But I’m finding it hard to tackle a rewrite. Gossamer Steel: a collection of short stories that links to Wyrm Bait. Where my passion is at the moment. Also have a linked novella, The Last Leaf, my 2011 NaNoWriMo win that needs editing. Challenges: 100 k in 100 days and My 500 Words. These give me the daily challenge to write – as in 3 – but not to edit. Will suffer when 7 takes over. Reading Blogs and other Social Media: finding enough time to give these justice is nigh impossible, and yet I need to connect with other people out there. That includes all the amazing IWSG folk. Reading novels on Kindle &/or paper: a writer needs to read, if only for pleasure. But sadly, as a slow reader, I have difficulty reading on a Kindle but that’s how I buy my books. Quicker reader the old fashioned, un-ecological way. 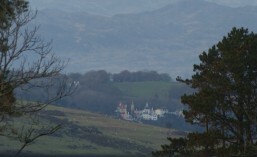 Packing for our move to Wales next month: in less than eight weeks we are moving to Harlech. Boxes are taking over our lives, and the other details must be sorted. Writing will get harder. Gaming: something had to suffer and this is it. Some would say good riddance to this waste of valuable time. But it is crucial escapism, especially when you are trapped by a wheelchair. It is also the inspiration behind 2 & 3. I need to focus myself back on the basic steps forward, and stop letting the headless syndrome affect me. I just need to identify the priorities. Without a head, this chicken can’t cross the road and get to the other side. What do you think, dear reader? What’s the best way to cross the road? This is my first posting of 2014 for the Insecure Writer’s Support Group This is when we release our fears to the world – or offer encouragement to those who are feeling neurotic. If you’d like to join us, click on the tab above and sign up. We post the first Wednesday of every month. Visit at least a dozen new blogs and leave a comment. Your words might be the encouragement someone needs. The awesome co-hosts today are Bob Milne, River Fairchild, Julie Dao, and Sarah Foster! Many thanks to you all for your time and effort towards making all IWSG members feel welcome. This entry was posted in Reading, Writing and tagged editing, Fiction writing, Headless Chickens, Insecure Writers Support Group, IWSG, National Novel Writing Month, novels, Spiral of Hooves, Writing. Bookmark the permalink. Ah, so I’ve got the headless disease too. Makes sense! My best advice is to focus on what is the most important at the moment. There will be a time when packing, moving and unpacking will take priority. 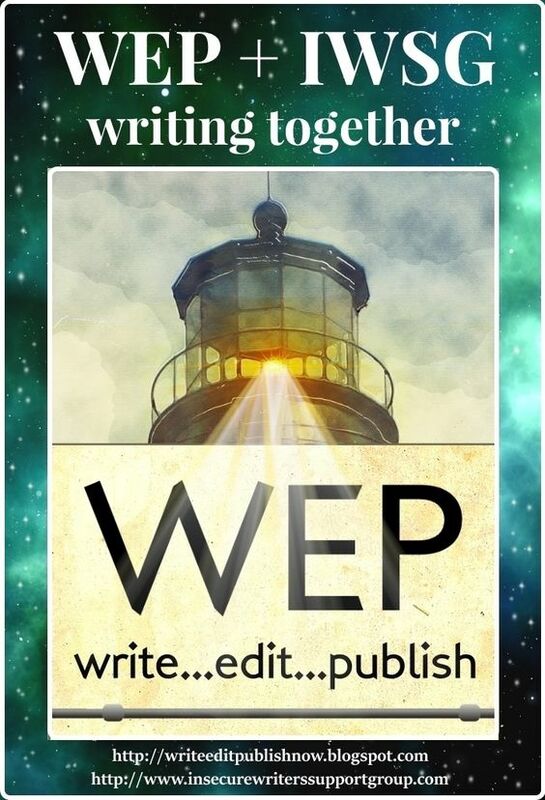 Perhaps during those times you don’t write unless that’s what is going to keep you sane. It’s always hard to find the balance and I wish you the best of luck. And I totally understand the need to “escape” into books and games! Thanks Charity for the encouraging words. Focusing on the most important has to be the way forward, for both of us. Finding the balance is always the key. First, congratulations on your debut book. A great accomplishment. I can commiserate with you on your move. My husband & I moved about 100 miles to be close to our daughter & grandchildren. What a chore. (the move, not the grandkiddies 🙂 ) Tackle what you can. Good luck with your move. Thanks Diane. Plan to take this move one day at a time, focusing on what is the priority… whether it’s a box or a few 100 words. Beginning to learn that after 13 years with MS. But moving 300 miles will be worthwhile, as I’m sure yours was. Good luck with your 2014 goals, and congrats on your debut! I’m struggling with the same things…too much to do in too little time. A writing friend told me to break each goal into tiny steps, and try to accomplish one each day until I’ve gained momentum. Worth a try! Thanks storyteller5. Good luck with your plans for 2014 as well. Tiny steps add up. Key thought, thanks. Roland – Your list makes my head spin. I have that constant headless chicken feeling myself. I have to just take it one task at a time…no long term promises to myself. Do what HAS to be done first. Thanks for the congrats & the visit Leanne. Hope your headless chicken feeling disperses. Gaming is important! But with everything else you have going, I can see why it’s got to go. Hope the move in the middle of all that goes well. And welcome to the IWSG! You are in the right place. Gaming will always be important as that was how I met my wife, online as an elf. Could have guessed that the Captain would approve, thanks Alex. Accepting that my gaming will be intermittent, as will writing. Glad to be part of IWSG… after lapsing. Congrats on your book! Using your analogy, I think you can only cross that road one step at a time. It’s a lot to do, but it can only be accomplished if we keep moving forward and not just sit in one place spinning our wheels. You can do it, we’ve got your back! Thanks Shelina. One step seems to be the popular and wise way forward, whether it is steps, wheels, or chickens. Welcome to the IWSG! Chickens are very hard to hide from and time is always in short supply. 🙂 You’ll get it all sorted out after the move and settling in. Many congratulations on your book Roland. I promise I will get round to reading it and will leave a review. As a by the by, a fabulous stress reliever, running over a long strip of bubble wrap with ones w/chair can not be beaten! Have to raid the packing supplies and try out the stress relief. Let’s keep inspiring each other. That’s a lot of chickens. What you need is a giant wood-burning grill to roast those into delicious dinner. Wait. I shouldn’t write this when I’m hungry. There are always must-do goals, and nice-to-have goals. It’s up to you to determine which ones are the must-dos and the nice-to-haves, as to achieve those goals and avoid disappointing yourself. Food for thought. There I go mentioning food again…Good luck! Thanks Gus for the culinary suggestions. Luckily no longer a veggie. Identifying those goals makes sense… especially to avoid an own-goal. But also need to have some ‘nice’ to help me through the ‘musts’, so they don’t become musty. Congrats on the new book! And a move to Wales? Ah, that would be a dream come true!! 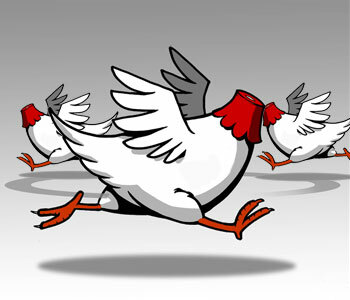 Headless Chickens is a very apt description of what constantly haunts (and taunts) me. There they are, pecking around my feet without beaks to do damage and yet they are frightening to behold! The best advice I can think of: pluck them, one by one, feather by feather. Not easy, but definitely worth the effort! Best of luck in the new writing goals and the move! Thanks Jen. Plucking them carefully to avoid those beaks and talons. Maybe as Gus says I should cook and eat them as well. One by one is like the step by step approach. Good advice. Got other post so trashing it. Sounds as though you have a lot on your plate this year. Hope your moves goes well and that you manage to finish everything on your list with time. Thanks JL, will pace myself and prioritise the move for a little while.